Beyond the favoured destination of world tourists for its mesmerizing, mystical art, culture and sculpture, India has become the decisive place for dental tourism. While the cost of treatment is a critical factor for dental tourism in India, the quality of service and post-operative care stand a major appealing factor for the foreign patients. In most developed countries, the cost of dental treatment is extremely high and access to premier hospitals is even limited. However, in India, the best-of-the-breed dental clinics charge a fraction of the cost incurred in US and Europe. Dental Tourism India is evolving in a big way. Patients are seriously exploring their options outside their nations to get quality services at optimum cost. The boom of Dental Tourism India is credited to some of the premium dental clinics that offer superior dental care at affordable price. One of these premium dental clinics is Healthy Smilez Dental Care Centre. Healthy Smilez Dental Care Centre is a cutting-edge dental clinic based out in the heart of Delhi, the capital of India. One-stop dental service centre for all your oral health problems, Healthy Smilez has the highly skilled and experienced dentists on its role to provide you comprehensive treatment for all your dental diseases. At Healthy Smilez Dental Care Centre, we use innovative dental technologies and offer you the best services within your budget. We follow the highest standards of hygiene and sterilization techniques on par with global standards. Healthy Smilez Dental Care Centre represents the quality of dental treatment available in New Delhi, India. Our patients are the testimony of our success. In last few years, many non-resident Indians and foreigners have counted on our competency and solid experience. 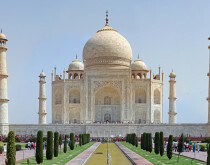 Being located in the heart of New Delhi and connected to top tour operators in India, we are privileged to facilitate affordable holidaying in the best tourist locations in India including, but not limited to Taj Mahal, Elephanta Caves, Kashmir, Ladakh, Goa, Kanyakumari, Jaipur & Udaipur, and the backwaters of Kerala. While you are in India you will enjoy a variety of cultural fests and local festivals that will transform your soul and give you a unique experience. Once you reach Healthy Smilez Dental Care Centre, your complete wellbeing is our responsibility. 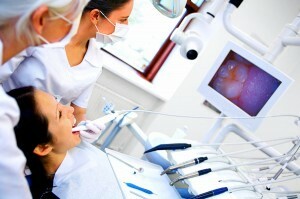 We assure you not only a superior dental treatment, but also a wholesome experience of India.